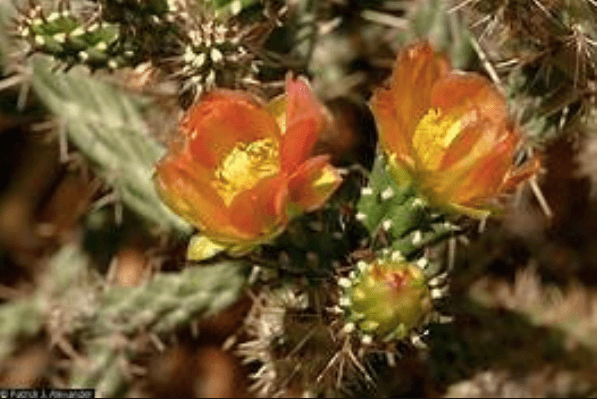 Fifteen years ago two Santa Fe, New Mexico residents decided to save an endangered local cactus called the Santa Fe Cholla, Cylindropuntia viridiflora. It grew in only a few areas close to Santa Fe and was being threatened by human encroachment and development. Their qualifications for this? Well, John “Obie” Oberhausen is a massage therapist, and Joe Newman, is an industrial designer; but they had a passion for this vulnerable plant and the drive and will to want to change its fate. Joe and Obie started collecting cuttings from the neglected and dying Santa Fe Cholla colony in downtown Santa Fe and propagating them in their yards. They even took apart packrat nests made out of cholla pieces to use as starts for new plants. They spoke to local nurseries, set up informational booths, lectured at local plant society gatherings, and gave away plants, all in an effort to make the plight of this endangered cactus known. When people would ask them what conservation group they were with they had no answer except to say they were just two guys trying to make a difference. As they generated more and more interest and excitement about their work, they decided to call themselves the Cactus Rescue Project. They now have a website and a Facebook page and have expanded their efforts to include the promotion of all cactus as a xeric alternative for gardening in drought afflicted areas of the southwestern United States. 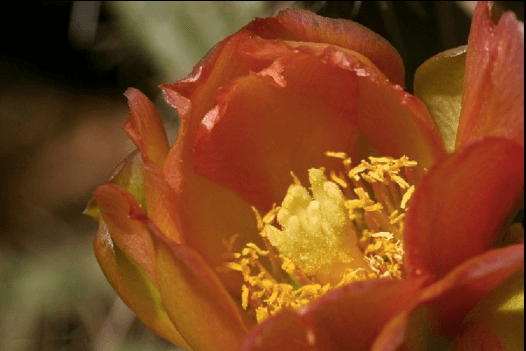 To this end, the Cactus Rescue Project (CRP) has put in free demonstration gardens all over Santa Fe and in the community in which they live, Eldorado. The garden at the Eldorado Community Center is one of the largest public cactus gardens in New Mexico. They have installed cactus gardens at a shopping center, school, senior center, a wildlife center, a government agency and have adopted and planted a median. CRP now has five regular members and has garnered 75-100 community volunteers, to help with projects and weeding parties. Every year they give educational talks about cactus and the Santa Fe Cholla and once a year have an annual “cactus give-away”, where they give away thousands of cactus cuttings pruned from their demonstration gardens. “We started years ago with a few bins of three-to-four inch pieces of Santa Fe Cholla and now we have pickup trucks overflowing with 12 inch pieces for people to take home and plant,” says Obie. The community and volunteer interest in cactus was fantastic, but CRP efforts to save the Santa Fe Cholla had to go beyond planting them in a few gardens and promoting their use in private gardening. In order to truly save the cactus, they needed to reestablish them in nature. About five years ago, Joe and Obie met the New Mexico State Botanist, Daniela Roth, who is responsible for the state’s endangered plants. They decided to work together to save this cactus and a year later planted 400 Santa Fe Cholla starts on a local preserve in an attempt to start a new natural colony. The plants were GPS marked and documented so the State could monitor them annually to check on their survival. The project drew community volunteers who helped with preparation and planting. It was such a success that another three colonies were planted at sites around the city of Santa Fe in the following year and a half; and more are scheduled for this coming spring. One of this year’s colony planting projects will include volunteer students from a local high school, Santa Fe Preparatory School, who are using it as a science experience. Obie and Joe are not done with their plans for the Santa Fe Cholla. This spring they are working with the New Mexico Department of Transportation to plant cactus along a highway interchange as well as working with the Santa Fe Water Conservation Office on additional projects. Joe and Obie know that though they may have been the impetus for this effort, it takes a community to make recovery happen. They are grateful to all the volunteers, local organizations, and responsive government officials who have helped make a difference to save an endangered plant, the beautiful and prickly Santa Fe Cholla.